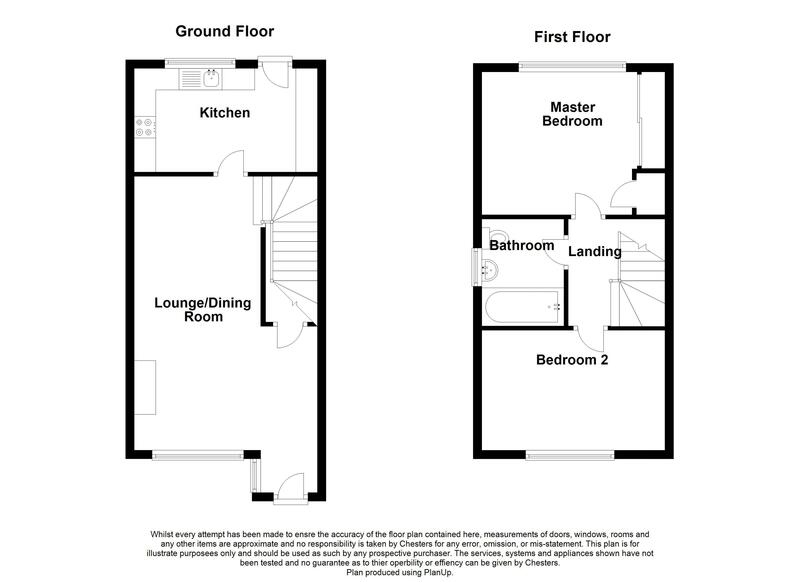 This end mews style property is located on a quiet walkway off Greenbarn Way and enjoys a generous end plot. 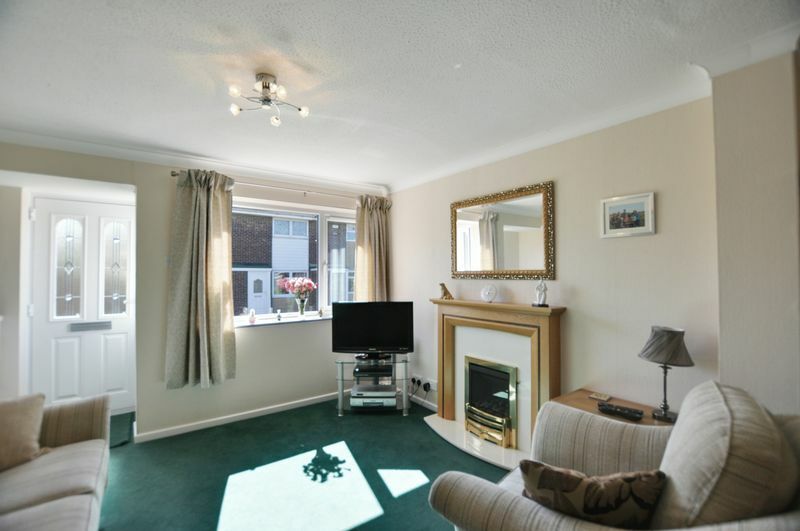 Internally the property is spacious, well maintained and beautifully presented. Well kept gardens to the front and rear provide excellent outdoor space and a garage fitted with power is perfect for extra storage. Accessed through a modern composite main door the porch offers open access into the main living room. This great space provides ample room for both living and dining. To the front aspect there is a large double glazed window that allows in plenty of natural light. 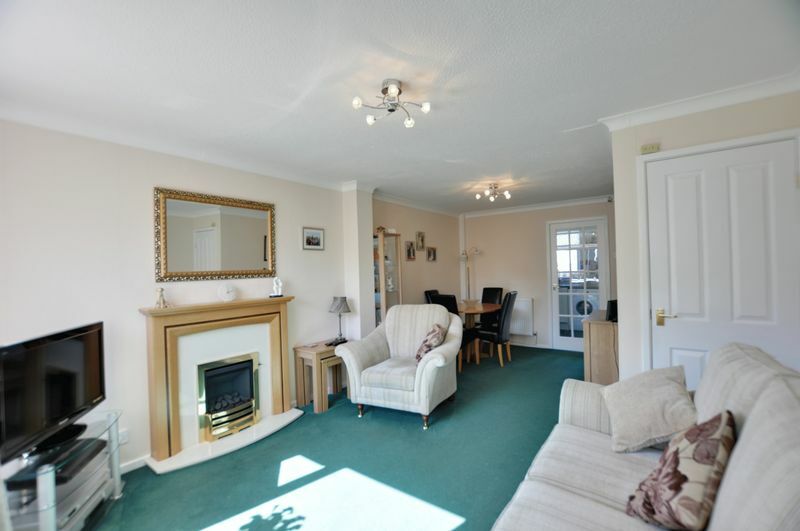 The living area has a central heating radiator, a feature fireplace with gas fire and a very useful under-stairs storage room. At the rear there is more than enough room for a family dining suite and other items of furniture, a second radiator is also positioned here. 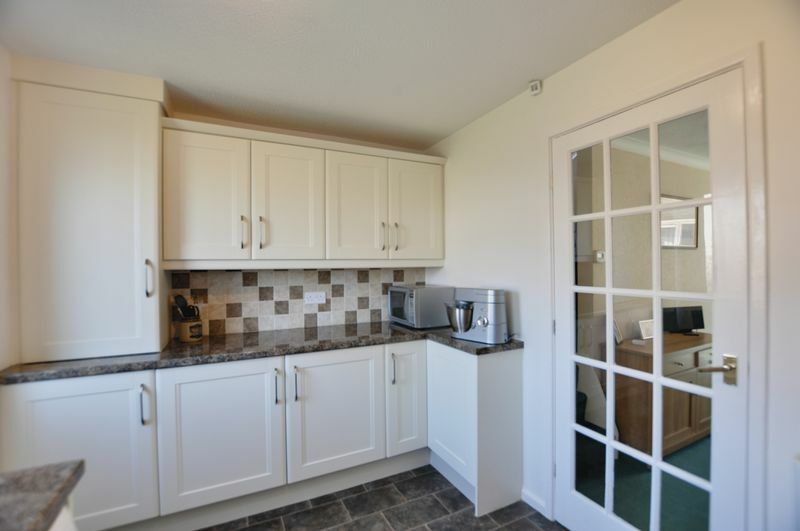 The well appointed kitchen is fitted with a full range of wall and base units, these are finished with modern cream doors and complimentary marble effect work surfaces. Integrated appliances in a Neff hide and slide oven, hob and extractor. 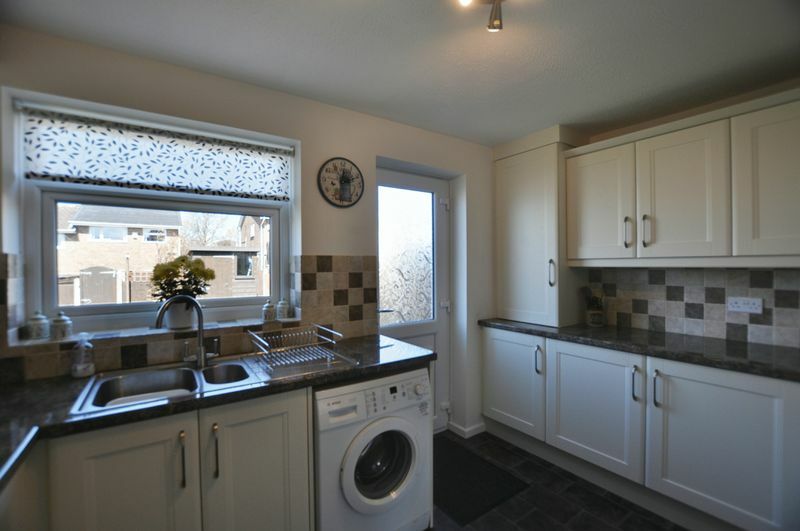 An under-counter Neff fridge and freezer are also fitted along with a modern sink unit and plumbing for a washing machine. 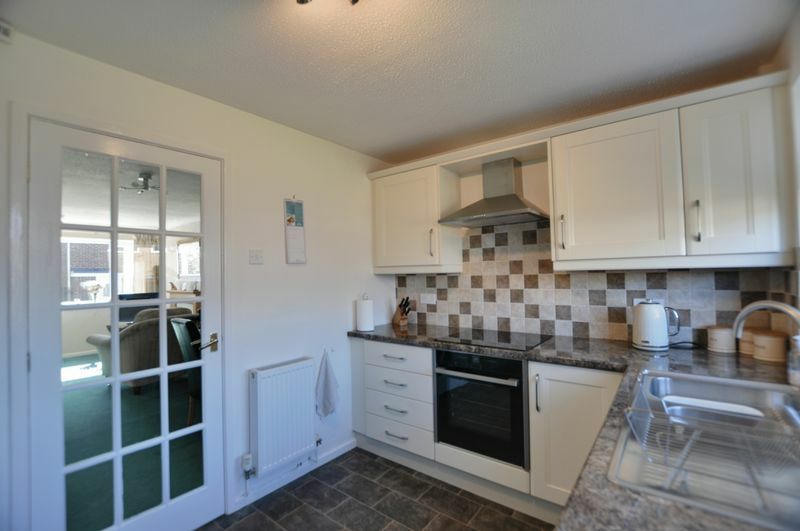 The kitchen also has tiled splash-backs, a central heating radiator and a door which opens to the rear garden. 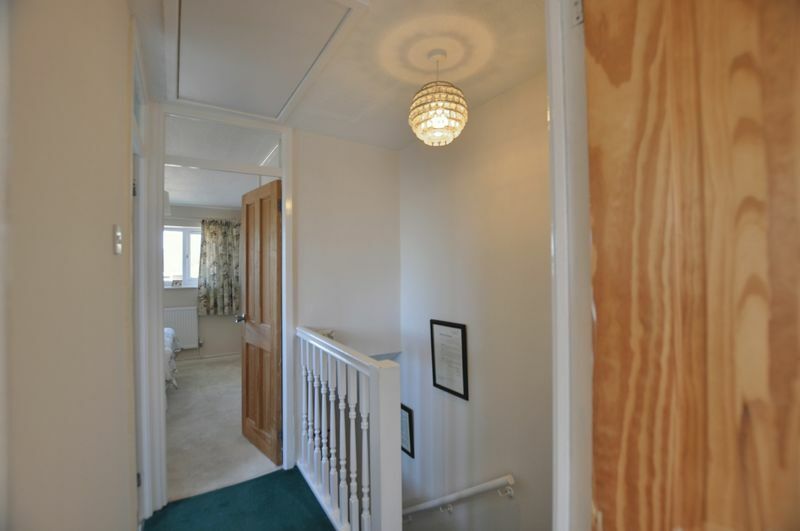 Neutrally decorated and bright, the landing provides access to the first floor living accommodation and to the loft via a large hatch with pull down ladders. 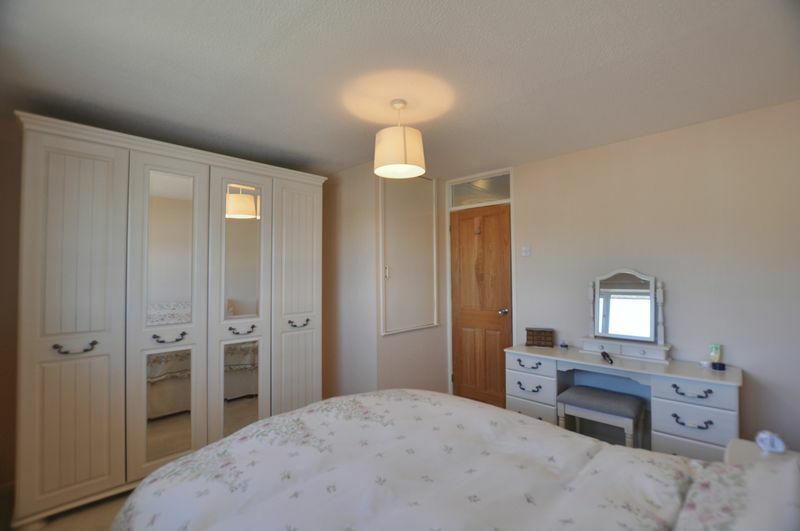 The master bedroom is located to the rear of the property, it is spacious and neutrally decorated. 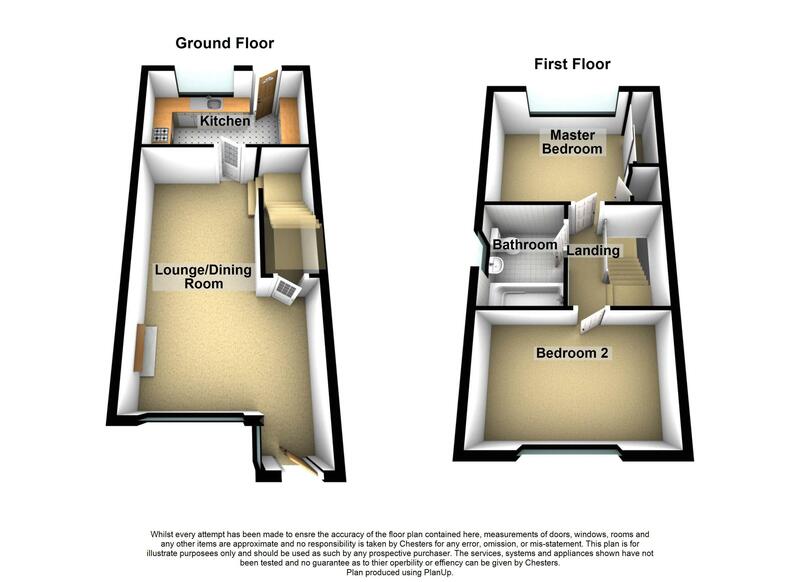 It has more than enough room for a large bed, bedside units and a range of wardrobes. A large window to the rear aspect allows lots of natural light to enter and provides a good vantage point for the rear garden. 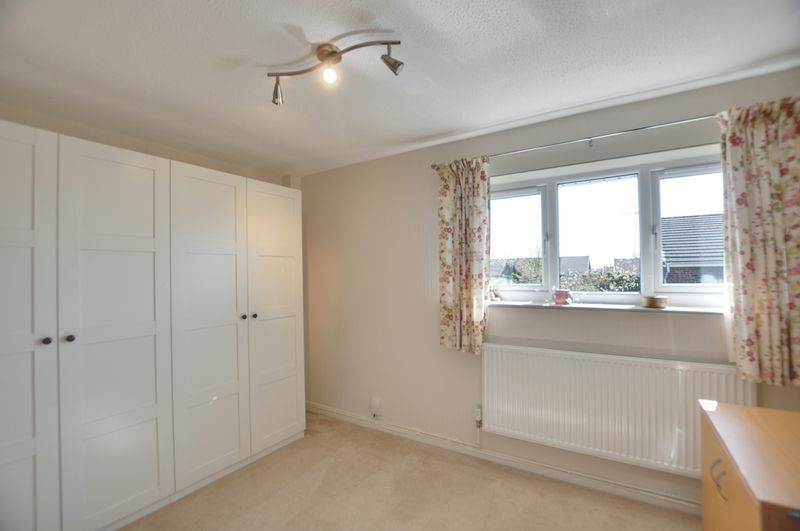 The master bedroom also benefits from a large built in over-stairs storage cupboard and a central heating radiator. The second bedroom is another double room that is located at the front of the property. Again this room is neutrally decorated and provides plenty of space for a large bed and other items of furniture. 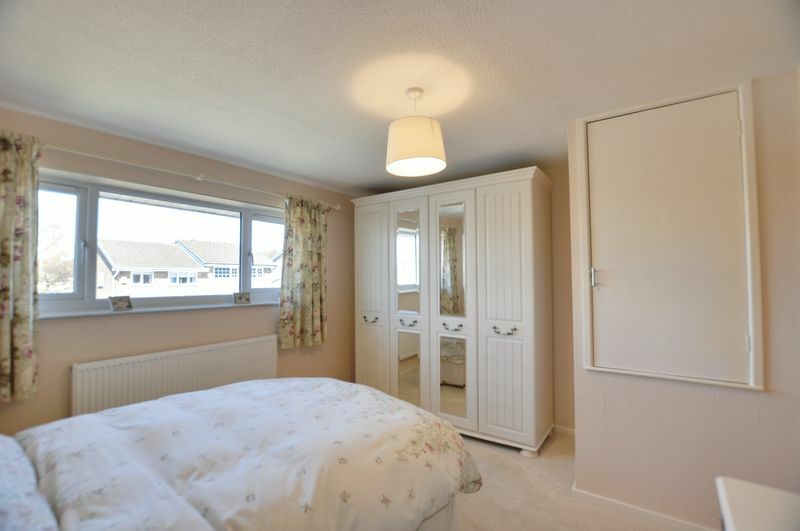 The second bedroom has a window to the front aspect and a central heating radiator. 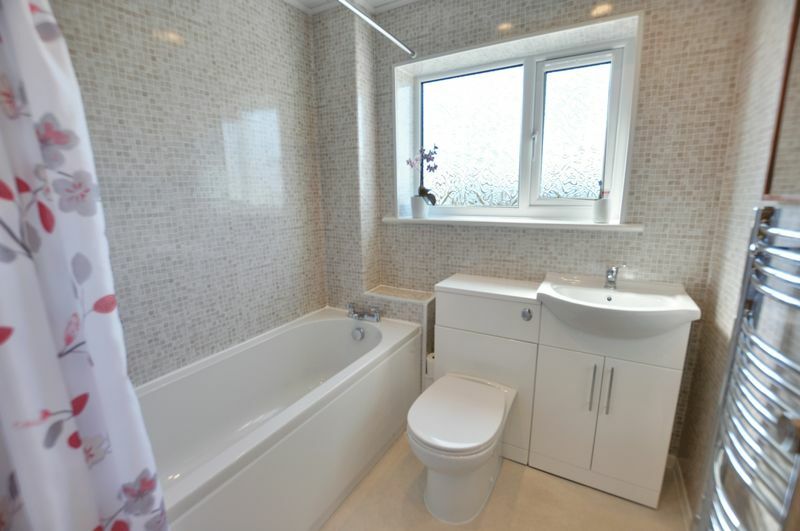 Stylish and modern the family bathroom is fitted with a panelled bath, and a large vanity unit that accommodates the wash basin and w/c. The bathroom offers a fitted shower above the bath, modern panelled walls, a heated chrome towel radiator and a window to the side aspect. 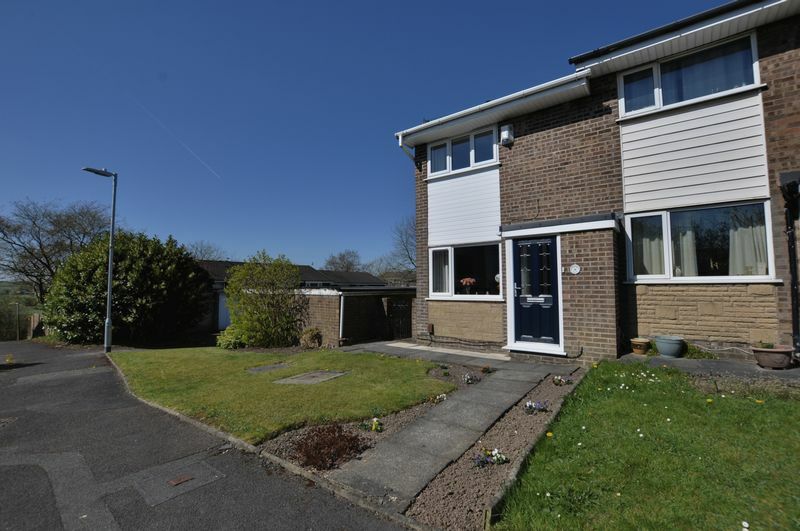 At the front of the property there is a large well maintained lawn with attractive planted soil borders. 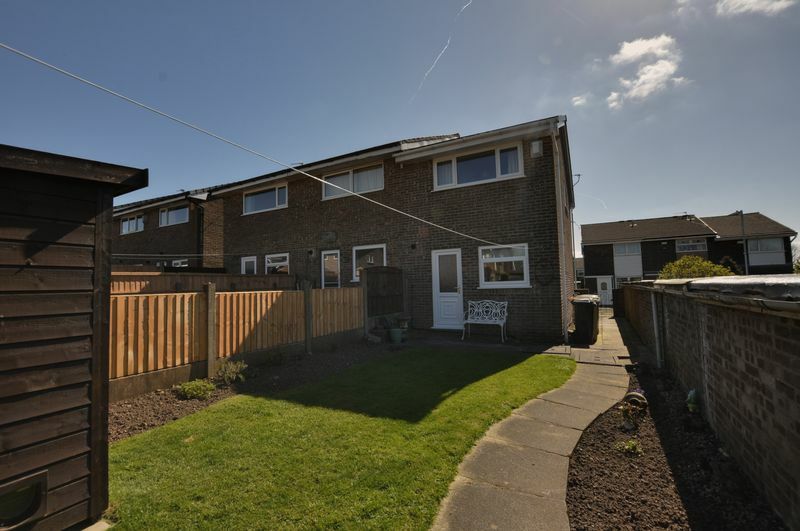 As this is the end property it also benefits from a wide pathway that leads around the side of the property, this allows access into the rear garden and provides easy movement and storage for your recycling bins. 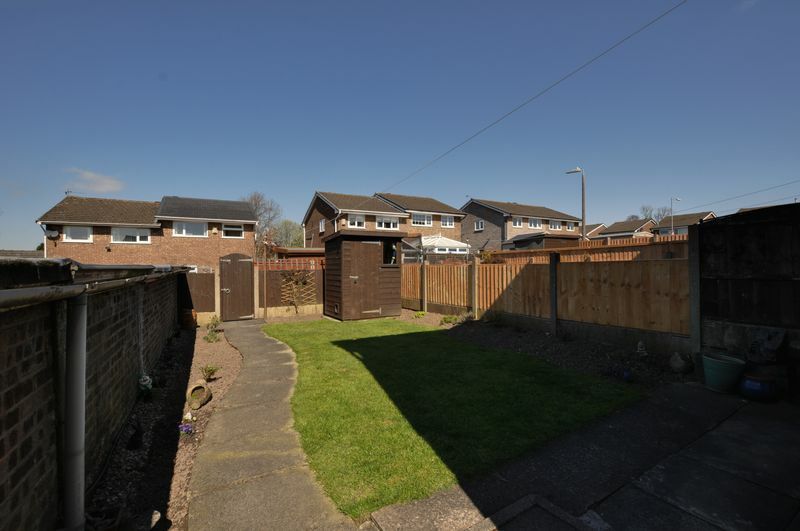 At the rear there is another well kept and generously proportioned garden, this consists of a large lawn with borders and a paved patio area. The rear garden is also fully enclosed and allows access to the garage. The garage has power and provides excellent extra storage. 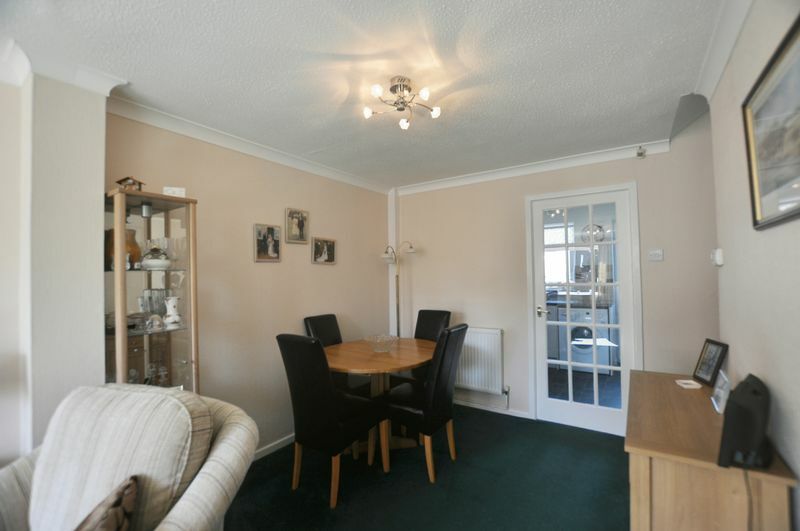 This property has been very well maintained over recent years. The current owner has made many improvements both inside and out. 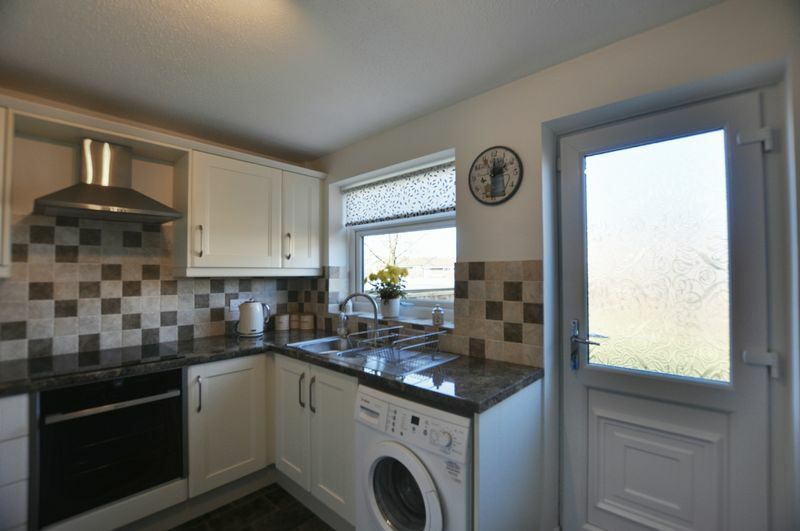 These include, a quality kitchen, a new central heating system, soffits and verges and the installation of new windows and doors.